Colomba Pasqua (“Easter Dove” in English) is a famous Italian traditional Easter cake made with flour, eggs, sugar, yeast, butter and candied orange peel and garnished with almonds, white sugar strands and icing sugar. 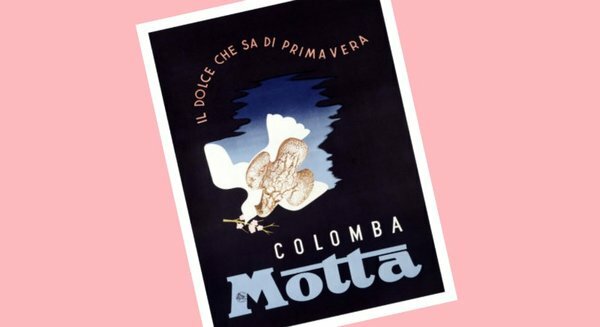 The original recipe was created from Dino Villani, a famous Advertising Manager of Motta (Italian Food Company) born in Milan around the 20th Century using a similar dough of Panettone, but without raisins and using other ingredients with a different shape (dove). Later in 1944, Angelo Vergani an Italian business man, founder of Vergani Company in Milan, took the recipe and put it on sale until today. During this time Italian Colomba it has become famous everywhere in the world. If you plan to go visit Milan, you should also stop in for a visit at Cova — the most famous pastry shop for Panettone. So, I wish to share with Italia Living my homemade recipe for Colomba (if you have at home natural yeast, you can replace fresh yeast with it). It’s really good and tasty. Try and you will believe! Buona Pasqua a tutti readers! 30 g strong flour, 20 g all-purpose flour, 50 g lukewarm milk, 10 g fresh yeast, 1 teaspoon of sugar. First dough, 80 g strong flour, 20 g all-purpose flour, 120 g lukewarm water, 1 teaspoon of sugar. Second dough, 80 g strong flour, 20 g all-purpose flour, 30 g sugar, 20 g soft butter. Third dough, 180 g strong flour, 40 g all-purpose flour, 2 whole medium eggs, 70 g soft butter, 140 g sugar, an orange grated peel (organic), 1 tablespoon of vanilla extract, 1 teaspoon of salt, 170 g candied orange peel (chopped in small cubes). 30 g almonds powder, 1 egg white (beaten), 80 g of sugar. 50 g almonds, 3 tablespoons white sugar strands sprinkles, 3 tablespoons confectioner’s sugar. 1) Dissolve yeast in lukewarm milk with sugar and pour in flour obtaining a smooth and compact dough. Put in the oven light on/switched off until doubling (first dough). 2) In a food processor with a steel blade in place (hook) pour first dough and in 2-3 times add water, sugar and flour until incorporating. Put in the oven light on/switched off until doubling (second dough). 3) Beat in food processor second dough and a little at time flour, sugar and then butter until smooth and compact. Again in the oven light on/switched off until doubling (third dough). 4) Whisk still third dough with sugar, remaining flour and flavors. Add one at time whole eggs until incorporating. Then butter and at the end candied orange peel and salt. Put in the oven light on/switched off until doubling (last one dough). 5) When batter will be ready push it gently with your fingers, getting out air bubbles. Cut in 2 parts dough (1 big and 1 small) obtaing Colomba’s body and wings. Leave to rise again until doubling. 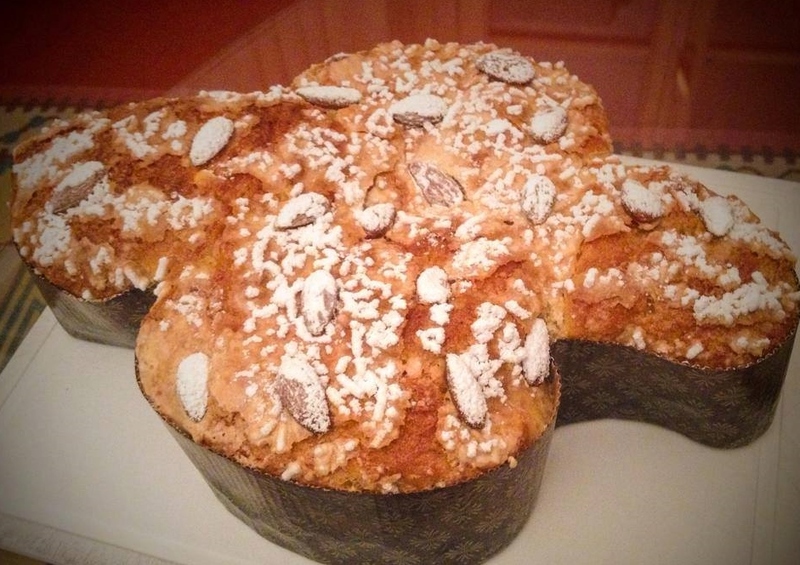 6) Meantime make colomba icing, chopping almonds with sugar in a kitchen blender. Then pour in egg white until smooth and creamy. Cover icing with cling film and put in the fridge. 7) Preheat oven to 200 degrees C / 392 degrees F (static modality). Sprinkle with a kitchen brush colomba’s surface with icing, gently. Garnish with almonds, white sugar strands and confectioner’s sugar. Bake in the oven to 200 degrees C / 392 degrees F for 10 minutes and then get down to 180 degrees C/ 356 degrees F for about 35-40 minutes. 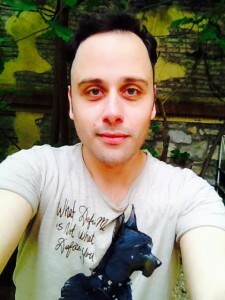 My name is Marco Giudizio, I am a 30 year old Italian. I graduated in French Pastry Art at ENSP (Alain Ducasse Education) – French Pastry Art International Campus – Summer 2014 and before that at Università dei Sapori of Perugia (my Hometown) in Italian Pastry Art. 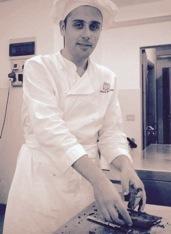 I am working as pastry chef in Florence where I live. I love travelling and discovering new places, cultures, tastes and also pastry shops around the World. During my free time I’m a food writer for a few international newspapers. 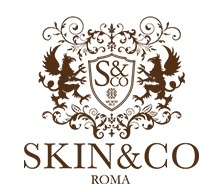 I am working also for Italian artisanal food companies as pastry chef and food writer.